To what degree have the territorial dimensions of Massive Open Online Courses (MOOCs) been made visible? Remarkably little, I would argue. This point came has been in the back of my mind for some time on the basis of following coverage about MOOCs including the three high profile leaders of the pack (Coursera, edX, Udacity), other MOOCs (Udemy and WeduboX), and complementary online learning platforms (e.g., Course Hero, iTunesU, Kahn Academy, OpenClass, Open Learning Initiative). Of course there is a long history to the development of these MOOCs (see ‘Adjacent possible: MOOCs, Udacity, edX, Coursera‘ by the MOOC pioneer George Siemens), not to mention the impact of openly accessible courses in the 1970s and 1980s via ‘open university’ platforms that once used public television stations (e.g. British Columbia’s Knowledge Network), but we’ll leave the usually neglected historic foundations story to the side for now. The lack of attention to the territorial dimensions of MOOCs came to the front of my mind when I attended a talk by Scott Page last week at UW-Madison during which I heard little about the geographies of MOOCs. As with much of the literature on MOOCs, Page’s talk included multiple references to enrollment numbers that generated ‘Ooos’ and ‘Wows’ from the crowd. Advocates, even reflective ones like Page, seem fixated on how many students sign up to take their MOOC courses. We’re now at a stage where tens of thousands of students is viewed as the desirable target. This drive to larger and larger numbers, much like the drive to build taller and taller skyscrapers (cf Dubai’s Burj Khalifa) is somewhat fetishistic but let’s give the MOOC people the benefit of the doubt in this exciting lift-off phase. Interestingly Page noted that maximizing volume is the defacto business model — an N-1 business model of sorts where scaling up numbers is the core objective, one that precedes an actual workable business model (that will eventually come, to be sure). 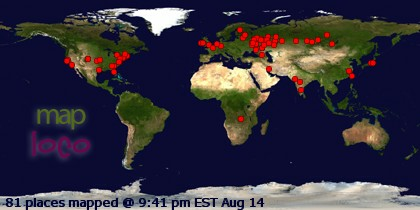 Now, as a geographer, three territorial silences initially come to my mind regarding the MOOCs discussion to date. The first territorial silence is a basic presentation of the geographies of enrollment and completion. It is usually inferred that the high enrollment numbers mean small and bordered territorial geographies (i.e. the traditional campus) have been punctured by the MOOCs platform. Numerous comments have been made about the enrolment of students “both on-campus and worldwide” leading to the collapse of time and space. Thus we see two simple categories of students – existing students associated with the universities backing MOOCs like edX, and new students who are located across the globe, all brought together via the MOOCs platform. While this binary is true, there are all sorts of problems with the notion of a singular ‘global’ or ‘international’ category. First, internet access continues to be limited across the globe as International Telecommunication Union data from 2011 clearly highlights. Even if we hear about students from X number of countries who are enrolled in MOOC courses, where they come from inside said countries matters. We urgently need far more data, and visualizations, that shed light on the geographies of MOOC student enrollment and completion trends and patterns (both national and intra-national). After all, if real-time heat maps can be provided about Twitter users, surely the tech savvy backers of MOOCs platforms like edX, Coursera and Udacity can provide more information about their operations. Arguably the organizers of these MOOC platforms also have an obligation to present such data in an open and timely matter to enhance collective learning about this phenomenon. In short, what are the evolving geographies of enrollment and completion regarding each MOOC platform, and each MOOC? The second territorial silence in the MOOCs discussion/debate regards the relevance of these primarily US university-provided courses for the world’s internet-accessible population. It is worth discussing how scalable, across national boundaries, the content of each course is. Some courses reflect the production of knowledge about phenomena or issues that are perhaps equally relevant to people in the US and Pakistan, for example. Other content, however, is deeply reflective of variations in state-society-economy relations, as well as the identity and positionality of course professors. Over time this will become even more of a factor as courses other than computer science and physics get posted. Surely, with open-access courses that are designed to reach across global space there should more visible information that flags how appropriate or relevant the content might be to students outside of the nations the course professor(s) are situated in. Of course this is not a simple thing to do but one way or another those working with MOOCs need to grapple with the myriad of challenges associated with teaching students from contexts very different than the ones their regular students are embedded in. This fact always hits you in the face when you teach a traditional class with students from around the world in it, as I did last term in my Cities and Development graduate seminar. And I am sure this comes out in discussion forums in many MOOCs and MOOC professors think about the issue a lot. But given the numbers dynamic, professors teaching MOOCs will never see the subtle looks of confusion hinting at the need for more explanation and attention to context. Given this it is even more important for MOOC sponsors and professors to be clear about the limitations of their course content. The third territorial silence in the MOOCs discussion/debate is related to the mission issue. I find it interesting that so little attempt has been made, yet, to integrate courses, and create programs, to help students progressively acquire knowledge about territorially-specific issues or needs. There is huge unexploited potential with the MOOC platform to offer single and integrative courses and programs that grapple with issues at the city-region scale, the province/state scale, the national scale, the supra-national regional scale, and the bilateral (city to city; nation to nation; region to region) scale. MOOC courses like edX’s CS184.1x: Foundations of Computer Graphics cut across global geographies providing you have adequate internet access, which is wonderful, but maximizing enrollment numbers and global reach should not be the core objective or foundation of a platform ‘business model.’ We are educators, after all! As an urbanist, for example, I think it would be wonderful to see a series of courses strung together that educate people about metropolitan scale politics in specific city regions, or unpack the ‘innovation’ agendas currently shaping development policies in Western cities. Likewise, universities in many continents are grappling with revenue challenges and some (especially in Europe and Asia) are pursuing technology transfer as a vehicle to diversify revenue streams and enhance ‘impact’ – in such a context a MOOC course on the long history and complex dynamics of technology transfer and innovation systems, with abundant case studies, would be very useful. Or, at a completely different scale, imagine the value of creating territorially- and temporally-specific MOOCs to shed genuine light on the dynamics associated with specific crises in Bahrain or Syria, or tangible geographies of the ‘global’ financial system. Where are the MOOCs on politics and empirics of austerity in Europe, for example? At the moment MOOCs tend to be sectorally- and disciplinary-specific, not territory-specific. There is a danger that MOOC content will be established in as generic and timeless a fashion as possible to maximize shelf life and ramp up enrollment numbers. But is this a positive outcome from a learning and societal development perspective? I think not. Such a model fails to take advantage of all the forms of knowledge contained in our universities and in doing so we are at risk of missing the abundant potential associated with the emerging MOOCs platform. The unruly process of ‘innovation’ has long stumped analysts and advocates. Indeed, there is a veritable cottage industry of scholars who work on innovation, innovation systems, innovation networks, and associated phenomena. This agenda intersects with higher education systems, institutions and practices in a variety of ways, including the development of research and advocacy programs regarding university industry linkages, entrepreneurship, technology transfer, the role of higher education institutions (HEIs) in R&D, the role of HEIs in city-region development, online education (most recently), and so on. But how does this agenda intersect with the globalization of higher education and research agenda? Well, in a wide variety of ways, especially given the globalizing nature of economies and societies. Researchers who focus on all of the above phenomena are increasingly grappling with the impact of ‘global pipelines’ guiding flows of people and information between multiple sites; transnational flows of mobile people, technologies, and the like; and multi-sited epistemic communities that produce the jointly authored publications mapped out here. The vast majority of this research, however, deals with grounded HEIs, institutions fixed in place. This, of course, makes sense, for most HEIs are not mobile, and never will be (and indeed should arguably not be). This said, one of the most fascinating experiments to unsettle the university-territory relationship, with the aim of engendering new forms of unruly innovation, is unfolding in New York City. 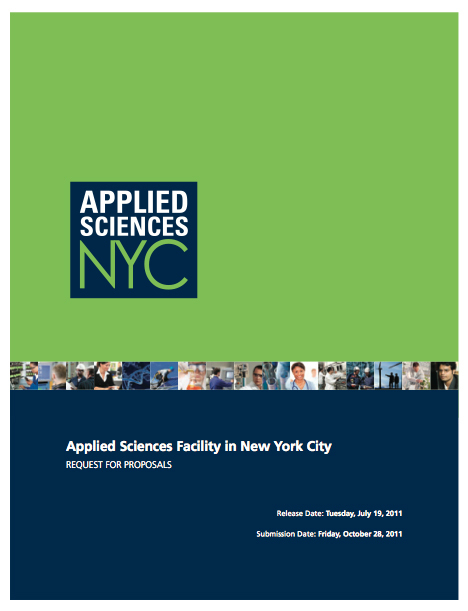 Mayor Michael R. Bloomberg, Deputy Mayor for Economic Development Robert K. Steel and New York City Economic Development Corporation President Seth W. Pinsky today announced that the City is seeking responses from a university, applied science organization or related institution to develop and operate an applied sciences research facility in New York City. In order to maintain a diverse and competitive economy, and capture the considerable growth occurring within the science, technology and research fields, the City is looking to strengthen its applied sciences capabilities, particularly in fields which lend themselves to commercialization. The City will make a capital contribution, in addition to possibly providing land and other considerations, commensurate with the respondent’s investment. This lineup of universities is noteworthy for it is the largest ever number of HEIs simultaneously considering the stretching of their institutional infrastructures out across space and into one place (NYC, USA). No other jurisdiction has ever, as far as I know, received such an expression of interest in such a concentrated period of time, highlighting the hold the city has on imaginations worldwide. Prometheus unbound, indeed. We were enormously optimistic that this once-in-a-generation opportunity would draw the interest of top caliber universities from New York City, the region and the world, and the number and breadth of responses is as strong an endorsement of the idea as we could have hoped for,” said Mayor Bloomberg. “The institutions that responded recognize the historic opportunity this initiative represents – to grow a presence in the world’s most dynamic, creative and globally connected city. For New York City, it’s an opportunity to increase dramatically our potential for economic growth – a game-changer for our economy. To cut a long story short, these expressions of interest were vetted and used to develop a comprehensive Applied Sciences Request for Proposals (RFP) to develop the applied sciences campus. The RFP, which was issued on 19 July 2011, had a closing date of 28 October 2011. Interestingly the geographies of these HEIs are less diverse than the lineup noted in relationship to the Dec 2010 response. Clearly the commitment required to harness the direct and indirect resources that would bring such a risky project to life was significant. By mid-December 2011 a decision was made that one proposal (put together by Cornell University in partnership with Technion-Israel Institute of Technology) would get the formal go-ahead. The image below comes from the proposal, and is supplied courtesy of Cornell University. While there has been significant coverage of this news story, this 19 December 2011 press release remains the best summary of the proposed project, to date. 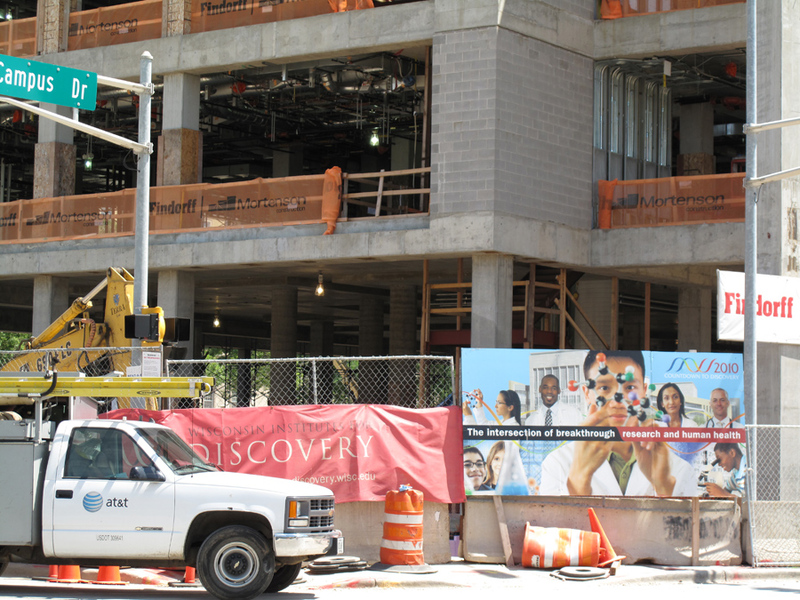 The official project sites run by Cornell, as well as by the NYCEDC are worth reviewing as well. During the first two months of 2012 development planning has been fast-tracked and the senior leadership team has been put together. It is also worth noting that discussions are continuing with NYU-led consortium (with the University of Toronto, University of Warwick, Indian Institute of Technology, Bombay, CUNY, and Carnegie Mellon University) in relationship to a Downtown Brooklyn site, as well as with Carnegie Mellon and Columbia in relationship to two other sites. The formation of deep partnerships between universities from different countries, but in a new (third) setting. In so doing, universities have no choice but to forge deep and relatively trusting relations, a requirement and an outcome absent from traditional international partnerships (which are usually struck up for the purpose of forging partnerships, i.e. partnerships in search of legitimizing projects). The creation of a partnership node that can be opened up, at will, to new partners while also serving as a prospective site of engagement between Cornell and Technion’s existing partners universities in the US, Israel, and abroad. This is, indeed, the value of drawing in universities like Technion and Cornell (on this issue see President David Skorton’s guest entry ‘A Cornell University response to ‘A question (about universities, global challenges, and an organizational-ethical dilemma)’’ in Global Higher Ed). 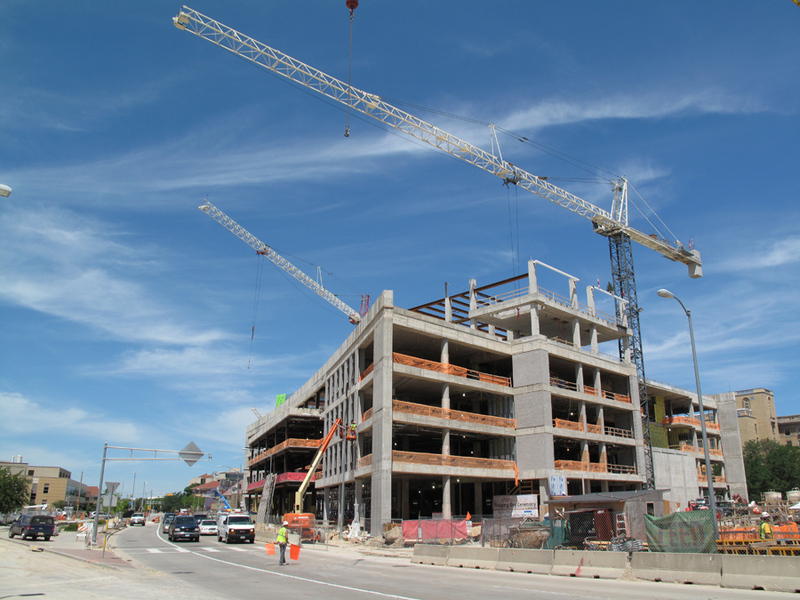 Thus, the new campus could, in theory, serve as a site of research, teaching, and collaboration more generally, for the many universities that Cornell and Technion trust and respect. 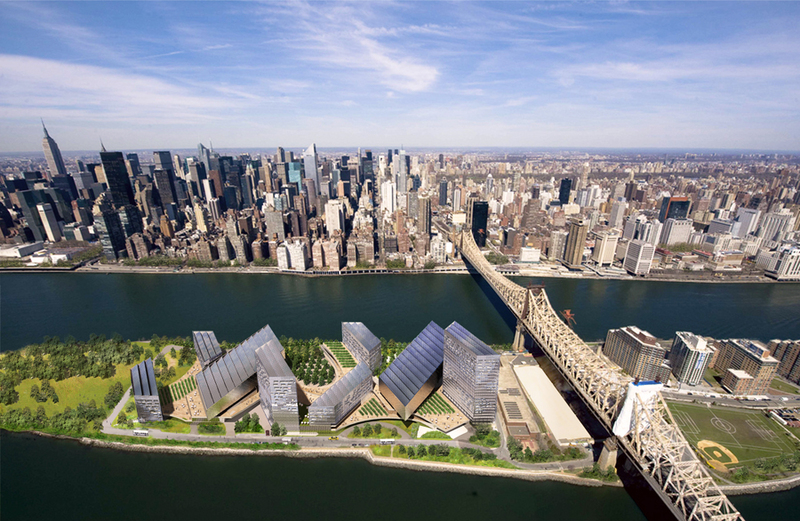 The establishment of new research and teaching programs that will have significantly more latitude for configuration given the novelty of the campus, and the mandate associated with the original RFP issued by NYC. 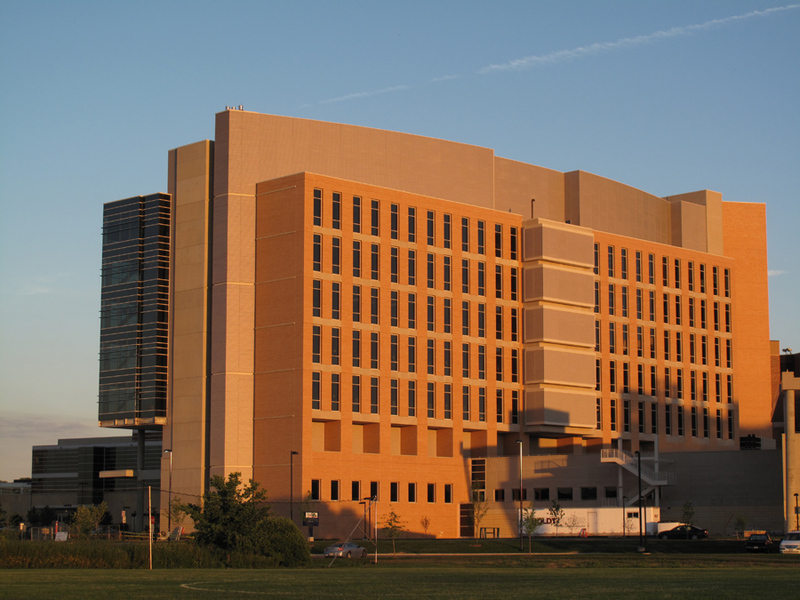 In short, some distance from the origin sites of both Cornell and Technion may help both universities break free from established practices and unwritten codes of convention on their main campuses, for good and bad. The ability to design a campus from scratch, which will enable barriers to collaboration to be designed away (well, in theory!). The creation of an institutional space that will allow these two universities, not originally based in the city of New York, to identify and work more intensely with New York-based partners in the public, private, and non-profit worlds. The abundance of international organizations, NGOs, and non-profits in the city of New York cannot help but be a huge resource to these two universities, especially if they are cognizant of the importance of viewing ‘innovation’ broadly. The creation of physical presence in New York so as to at least have the potential to forge informal relations of trust and interdependency with city-based actors (be they US or foreign). This is, for example, one of the benefits reaped by INSEAD after it established a deep presence in the global city of Singapore in 2001. The unruly processes associated with innovation often take time: they often occur by accident, and serendipity often comes into play. Serendipity is better facilitated, if indeed it can be facilitated, via proximity and territorial co-presence. These are just a few aspects of the development process that come to mind. While there are many more I could have flagged, I have some World Regions course grading to attend to! 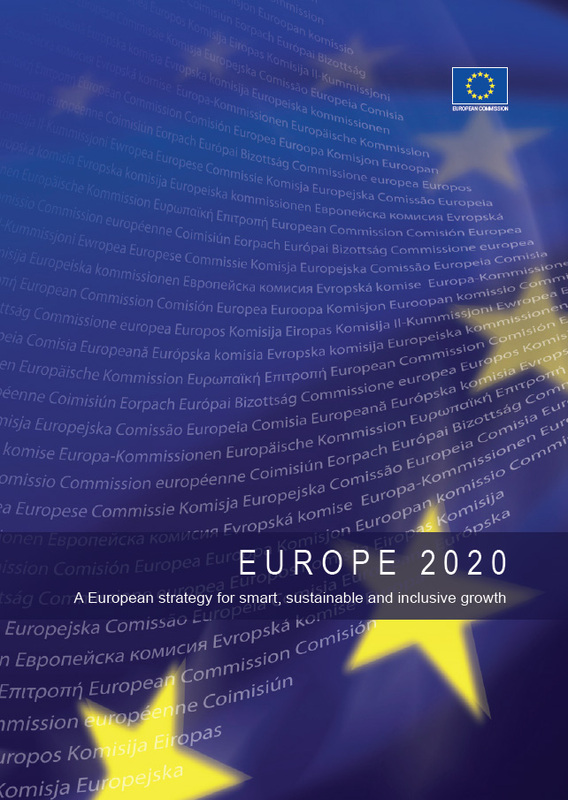 Europe 2020: what are the implications of Europe’s new economic strategy for global higher ed & research? The EU’s new strategy for sustainable growth and jobs, called ‘Europe 2020’, comes in the midst of the worst economic crisis in decades. The new strategy replaces the Lisbon Agenda, adopted in 2000, which largely failed to turn the EU into “the world’s most dynamic knowledge-based economy by 2010”. The new agenda puts innovation and green growth at the heart of its blueprint for competitiveness and proposes tighter monitoring of national reform programmes, one of the greatest weaknesses of the Lisbon Strategy. The aim is to enhance the performance and international attractiveness of Europe’s higher education institutions and raise the overall quality of all levels of education and training in the EU, combining both excellence and equity, by promoting student mobility and trainees’ mobility, and improve the employment situation of young people. – To step up the modernisation agenda of higher education (curricula, governance and financing) including by benchmarking university performance and educational outcomes in a global context. 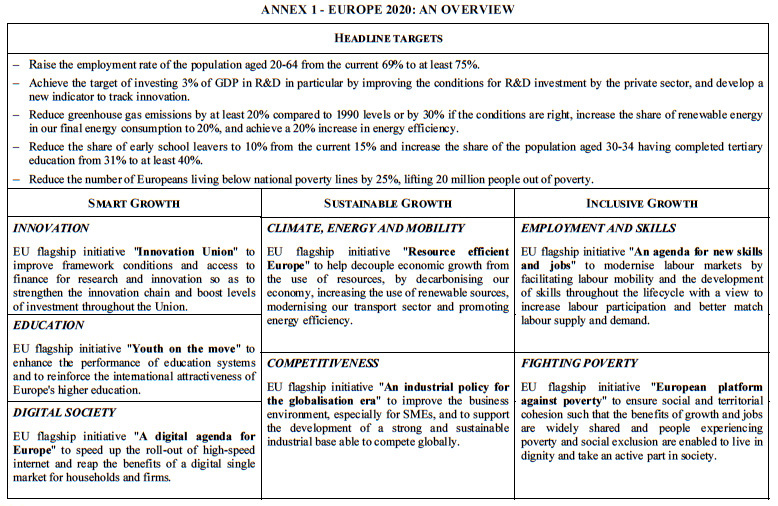 See here for the EU’s Press pack: Europe 2020 – a new economic strategy. EurActiv also has a useful LinksDossier (‘Europe 2020’: Green growth and jobs?) for those of you seeking a concise summary of the build-up to the new 2020 plan. It is also worth noting that EU member states, and as well as non-governmental organizations, are attempting to push their own innovation agendas in the light of the 2020 economic roadmap for Europe. Link here, for example, to a Lisbon Council e-brief (Wikinomics and the Era of Openness: European Innovation at a Crossroads) that is being released today in Brussels. European Commissioner Máire Geoghegan-Quinn also spoke at the same event. The ‘innovation’ agenda and discourse is deeply intertwined with higher education and research policy in Europe at the moment. While the outcome of this agenda has yet to be determined, supporters and critics alike are being forced to engage with this amorphous concept; a 21st century ‘keyword’ notably absent from Raymond Williams’ classic text Keywords: A Vocabulary of Culture and Society. Editor’s note: today’s entry was written by Professor Jill Trewhella (pictured to the right), Deputy Vice Chancellor – Research, University of Sydney, Australia. It was originally delivered at the Australian Financial Review Higher Education Conference, 9 March 2009. Our thanks to Nicholas Haskins, Program Manager (International Networks), Office of the Deputy Vice-Chancellor (International), for bringing this interesting text to our attention, and to Professor Trewhella for allowing us to post it here. Professor Trewhella is Professor of Molecular and Microbial Bioscience and a former Director of Bioscience at America’s top nuclear research facility, the Los Alamos National Laboratory. For 2000 years, the advancement of knowledge in western civilization has taken a path of increasing specialization. We have approached understanding our world by deconstructing it into smaller and smaller fragments creating the disciplines and subdisciplines in order to be able to predict, or at least to explain, behaviour in nature, individuals, and society. In today’s knowledge landscape there are powerful drivers for multidisciplinary research. Through simple collaboration, researchers from different disciplines can accomplish more by teaming. Interdisciplinary research moves beyond simple collaboration and teaming to integrate data, methodologies, perspectives, and concepts from multiple disciplines in order to advance fundamental understanding or to solve real world problems. Interdisciplinary research requires either that an individual researcher gains a depth of understanding two or more than one discipline and be fluent in their languages and methodologies, or more frequently that multidisciplinary teams assemble and create a common language and framework for discovery and innovation. The drivers for interdisciplinary research are varied. In the first instance, nature and society are complex, and our innate curiosity to understand the elements and forces within them requires examination from the perspective of multiple disciplines. The example most urgently felt at this time is the consequence of failing to fully understand all of the forces unleashed by the free movement of capital and globalization. Only a short time ago, our urgent focus was on climate change, where we must consider, among other things, how oceans and rivers are influenced by land use and the products of industrialization, atmospheric constituents and solar radiation. These subsystems are linked in time and space and have embedded in them multiple feedback mechanisms. The complexity presented in each of these real world examples requires interdisciplinary research that spans the natural and social sciences if we are to attain the kind of predictive capability that could inform policy makers. Finally, we know that the tools that we have available to examine our world are most often transformational when drawn from outside the discipline that developed them; such as the discovery of X-rays by physicists and their impact on medicine, or the creation of the internet by the military and its impact on communication in society at large. Academic institutions are largely organized in ways that promote the advancement of individual disciplines, or sub-disciplines. Policies that govern hiring, promotion, and the allocation of resources often work against interdisciplinary research. If interdisciplinary research is to flourish in academia, then the reward systems in academia have to recognize the different pace with which interdisciplinary research may proceed and the fact that it is often a team rather than individual accomplishment. There also is a need for flexible organizational structures that can operate across discipline-focused departments. Directed institutes and centres with seed funding can encourage interdisciplinary research. But more fundamental advances may emerge from creating a body of scholarly work that establishes common languages and frameworks in specific areas and examines what makes successful interdisciplinary research. This approach is one we are pursuing at the University of Sydney with our newly established Social Sciences Institute and our Institute for Sustainable Solutions. Peer review systems that depend heavily on experts from single disciplines, and the reality that interdisciplinary peer review panels are not easy to assemble and operate. The extra time needed for interdisciplinary teams to learn develop a common language and framework for study is an impediment in a competitive system that is research output driven. How do we set performance goals for evaluating an interdisciplinary research program. Interdisciplinary research is likely to be expensive; multiple chief investigators have to come together with disparate capabilities. Supporting interdisciplinary research requires an increased tolerance of risk. It is often the case that when an agency puts out a call for an interdisciplinary program, pressure is felt from all sides to over-promise and under-budget, leading to the inevitable problem of under-performance. Benchmarking the mechanisms by which successful interdisciplinary programs have been supported is essential to ensuring the most return for investment in this challenging area. Looking at home and abroad at the results of using problem focused calls, seed funding, sustained funding over a longer term, targeted fellowships, etc, is essential for future planning. Training researchers who can transcend the barriers that exist between the disciplines requires innovation in teaching and learning. In the University setting, our training programs largely focus on in depth training in a discipline or a set of closely related sub-disciplines. To develop the pool of researchers who are best prepared for interdisciplinary research, we need undergraduate programs that provide depth in the major discipline(s) while also enabling students to participate in interdisciplinary courses and be exposed to research experiences that transcend the discipline of their major. The earlier in our training that we are exposed to different languages and methodologies, the better we are able to understand the potential contributions that may come from outside our discipline. The better we are able to formulate complex questions and then integrate data, ideas, and perspectives as we seek answers. PhD programs need to consider the benefits of broader exposure. Lowering the barriers to students moving between institutions and even disciplines could have great benefits for our ability to train the next generation of interdisciplinary researchers and researchers who are facile at participating in interdisciplinary teaming. We need to recognize the benefits for students who gain training in one discipline to be able to acquire training in another – and enable it to happen. There are examples of successful programs aimed at encouraging interdisciplinary training. I once hosted in my Biophysics laboratory (which was in a Chemistry Department!) a young graduate student from the Mathematical Biology Department who was participating in the Integrated Graduate Education Research Traineeship (IGERT) program sponsored by the US National Science Foundation. The idea was, in this case, for the student to learn the difficulties involved in acquiring accurate biophysical data. The student had no aspirations to become an experimentalist, but he left my laboratory understanding how the data were generated and what its limitations and strengths were; and importantly what he would be asking of his collaborators to produce more data! He could use this knowledge to formulate the questions he needed to ask of other kinds of experimental data that would be the ultimate test of his theoretical frameworks. This example may seem a very modest one, as the distance between mathematical biology and experimental biophysics seems not so great, but as such it is a good demonstration of how difficult it can be to become truly interdisciplinary. The languages, cultures and goals of what might be thought of as subdisciplines here, often make what is learned in one of no value to the other; the theorist’s spherical cow being the anecdotal example epitomizing the gulf of understanding between theory and experiment in the study of biological systems. The potential for interdisciplinary research ultimately hinges on the extent to which individuals want to engage in it, and equally importantly if they have the opportunity to do so. Academia, national laboratories, and industry can create the opportunities and incentives to attract our best and brightest to this frontier. The individual interdisciplinary researcher is likely to be a relatively rare bird, and it will be the teams of researchers that are more the norm for advancing interdisciplinary research. Research teams are in themselves modestly complex social entities and in their 2004 study entitled Facilitating Interdisciplinary Research, a panel of the US National Academy of Sciences found that they were limited by the lack of a body of peer reviewed research in the social sciences that “elucidated the complex social and intellectual processes that make for successful interdisciplinary research.” While we have made some strides in thinking about the role of flexible structures and funding incentives to facilitate multidisciplinary teams coming together for a problem focussed effort or an area study, there is a need for social scientists to grapple with the more fundamental aspects of what facilitates successful interdisciplinary research; that is what enables high performance teams breaking down the barriers of language and culture and create knowledge that drives innovation. 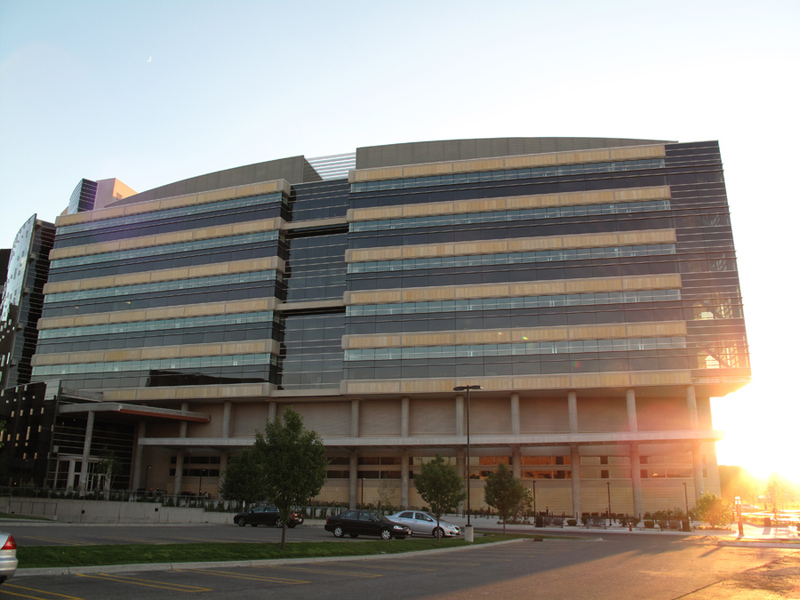 National Academy of Sciences, National Academy of Engineering, and Institute Medicine. (2004) Facilitating Interdisciplinary Research, Washington DC, National Academies Press. David Easton (1991) The Division, Integration, and Transfer of Knowledge, Bulletin of the American Academy of Arts and Sciences, Vol 44, No 4, pp 8-27, American Academy of Arts and Sciences. Yesterday’s Financial Times included an informative story (‘Merger with innovation at its heart‘) on the development process of Aalto University in Finland. Aalto University is being created through the merger of three existing institutions – the Helsinki School of Economics, the University of Art and Design Helsinki and the Helsinki University of Technology – and will formally open in January 2010. Across the world, business people, creative types and technology geeks struggle to understand each other. Their education and training, even much of their work, is carried out in separ­ate silos, with exciting collaborations the exception rather than the rule. Now Helsinki’s business school, art college and technology school have come up with a radical plan: a three-way merger to create what they claim will be a unique, integrated seedbed for innovation. The new institution, Aalto University, will offer joint courses later this year and will be open fully at the beginning of 2010 as the flagship project in a national shake-up of higher education. The government, academics and Finland’s business community, which is strongly represented on Aalto’s board, are hoping to capitalise on the country’s record in industrial and product design and to create an internationally competitive, business-focused institution that takes inter-disciplinary working to an extreme not seen anywhere else in the world. The website for Aalto University (named after Alvar Aalto) suggests that the new university will have (based on aggregate statistics from 2007) 19,200 students (1,140 of them foreign) and 4,150 staff (53% in teaching and research), with an annual budget of EUR 296 million (61% from the Ministry of Education, 39% from external financiers). 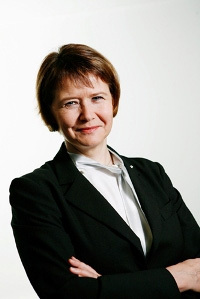 The first president will be Professor Tuula Teeri (pictured here), currently Vice President, Royal Institute of Technology (KTH), Stockholm, Sweden. This approach to higher education formalizes and institutionalizes (at a scaled up level) what some programs or schools are currently attempting to do in many countries (see, for example, Susan Robertson’s entry ‘A creative combination: adding MBAs and art schools together to increase innovation‘). Yet there are also historical precedents: one of my European Commission colleagues noted, for example, the similarity of Aalto University’s development agenda to the origin ideas behind the MIT Media Lab. And I can’t help but think that the merge will also reposition these universities (or, university) in the European and global rankings exercises…while not the reason to ever do anything as bold as a merger, the rankings factor is unlikely to be irrelevant. Aalto University is shaping up to be a fascinating experiment; one well worth examining, and also comparing to smaller scale initiatives in other contexts, or different foci initiatives such as the new (built from scratch) King Abdullah University of Science and Technology (KAUST) in Saudi Arabia. Finally, see below for a 22 page slide show produced by Aalto University, which is available here in PDF format. The US – India ‘knowledge’ relationship: the sleeping giant stirs! Editor’s Note: This entry has been kindly prepared by Tim Gore, now Director of The Centre for Indian Business, University of Greenwich, London, UK. Prior to this, Tim was Director of Education at the British Council in India, where he was responsible for growing the knowledge partnership between India and the UK. Tim also led the establishment of the UK-India Education and Research Initiative (UKIERI) that is profiled in an earlier blog entry. How will President Obama’s ambitious plans for a new diplomacy translate into practical international relations and how will this impact on the education sector? An early example of this may prove to be relations with India and some clues may be in the newly released Asia Society Task Force report: Delivering on the Promise: Advancing US Relations with India. The high level rhetoric for the US-India relationship may not have changed that much after all President Bush declared ‘the world needs India’ on his 2006 visit to the Indian School of Business (ISB) – Hyderabad – a school touted by the new report as an example of what can be done with good US-India cooperation. The School works in partnership with Wharton and Kellogg and prompted a Bush accolade ‘You’ve got a great thing going’! However, the tone of the report is a substantial departure from the Bush years. Democratic colors are now firmly fixed to the mast and references to ‘reciprocity’ and ‘understanding India’ abound, while the ‘world needs India’ has changed to ‘the USA needs India as an ally in its foreign policy issues’. The education agenda is a little buried in this report. It has been classified under the second track ‘Joint Public-Private Partnerships for Complex Global Challenges’. Is this code meaning that there will be little Government funding available (seed-corn funding is mentioned briefly)? After all, educational relations between the two countries have flourished over the years, despite a relative absence of visible policy and public sector involvement. There are over 80,000 Indians studying in higher education in the US every year and the US dominates the ‘market’ for doctoral studies. Also, many commentators (see, for example, Anna-Lee Saxenian’s book The New Argonauts: Regional Advantage in a Global Economy) have pointed out the seminal role of talented Indian entrepreneurs in Silicon Valley and elsewhere and research links with the US are strong and growing. There are also quite a number of US tertiary collaborations with India (although surprisingly bearing in mind the respective sizes of their tertiary sectors, not more than the number of UK collaborations). However, the use of ISB as a beacon of attainment highlights the key issue with US-India educational relations and the nuances of policy that the US will need to get right. ISB is an exceptional institution, undoubtedly in the top tier of such institutions globally, in terms of how hard they work their students if nothing else! However ISB, with its powerful private sector Governing Board and influential international links (US presidents don’t drop into every management college with a foreign badge on the gate), is not accredited in India by the relevant regulatory body the All India Council for Technical Education (AICTE). Similarly, the campus of the US Western International University run by the influential Modi family has no official status in India. If pressed, officials will say that it is ‘not legal’. Australia, New Zealand and UK have a multilateral forum with India on quality assurance, regulation of cross border education and other issues of mutual interest, The US approach thus far has been to lobby for liberalisation of the sector. Alienating the Human Resources Ministry may not matter in trade relations, but it will matter in education and knowledge partnerships. The report shows little understanding of the education sector. It claims that direct investment in education is not allowed in India. This is not really the case as a recent MoU to establish a campus of Georgia Institute of Technology in Andhra Pradesh (near the ISB) demonstrates. Regulation of foreign provision in India is unclear with the relevant legislation frozen in parliament but accreditation can be achieved. The UK’s Huddersfield University has both invested in, and achieved, official recognition of its joint venture in ‘Hospitality Management’ with the Taj Hotel Group in India. Similarly, the report claims that the higher education sector is overwhelmingly public which is again not the case. Over 50% of higher education provision in India is private and the vast majority of audiences the US would like to address at secondary level will attend private schools which dominate the urban areas. This brings me to a second point. The ISB example, while interesting, also misses the point raised, as the main way the US can build an educational relationship with India is claimed to be partnership in meeting the training requirements for India’s large population. ISB and similar Tier 1 institutions will never address this demand with their tiny elite intakes. More relevant are the 1800 engineering colleges with Tier 2 aspirations that are currently achieving less than 30% employability according to the IT industry body Nasscom. Here the community colleges and Tier 2 US institutions could play a bigger role (briefly touched upon in the report). And here, also, the private sector becomes very relevant with the enormous number of Tier 2 private institutions springing up all over India. Finally, the potential of the partnership is less than fully explored here. The US already has a substantial knowledge partnership with India which transcends the main objective in the report; of helping India to produce its next generation workforce. The complex research and innovation links with US through entrepreneurs and highly qualified graduate technicians and scientists are of immense value to both countries but largely ignored in this report. The overall impression is of a hastily prepared report to encourage the new administration to focus on India. Many of us have wondered what would happen if the sleeping giant awakes and the US take a more pro-active and coherent approach to its knowledge and education partnership with India.This report may be the alarm clock going off..!! Earlier this week we posted an entry on a new European Commission ‘Communication’ – a Strategic Framework for International Science and Technology Cooperation. In working up this entry it became clear to us that some of the state-crafting language to describe different stages of the policy process in the construction of Europe needed decoding to enable the reader to assess the relative importance of particular initiatives. For example, what is a Communication? what is its status? who is it to? and so on. While this seems an obvious point to make–that the lexicon to describe aspects of the policy process is quite different around the globe–finding a web-link with an adequate explanation of this was quite a different matter. So when today’s Policy Brief on University Systems Ranking from The Lisbon Council hit cyberspace (we’ll profile the briefing tomorrow), it seemed that here, too, was another instance when names and terms could be rather confusing. The tight linking of the idea of ‘Lisbon’ to ‘Council’ tends to suggest that this organisation is one of a number of European bodies that make up the official governing structure of Europe. However, this is not the case. So, who are they, and how does The Lisbon Council fit into the Eurolandscape of policymaking? This is the first in a series of posts where we introduce key strategic actors involved in constituting and governing higher education within Europe and beyond. The Lisbon Council–or more properly The Lisbon Council for Economic Competitiveness and Social Renewal–is an independent think-tank and policy network created in 2003 to advance the now famous Lisbon 2000 Agenda; of making Europe “…the most dynamic, globally competitive, knowledge-based economy in the world….”. …defining and articulating a mature strategy for managing current and future challenges. Above all, we are seeking strategies based on inclusion, opportunity and sustainability that will make the benefits of modernisation available to all our citizens. Our network – concerned citizens, top economists, public figures, NGO leaders, business strategists and leading-edge thinkers – lends its energy, brain power and dedication to solving the great economic and social challenges of our times. At the centre of our activities are solution-oriented seminars, thought-provoking publications, media appearances and public advocacy. We can get a sense of the kind of strategic thinking The Lisbon Council advocate to realize a globally competitive Europe by also looking at its projects (including the Human Capital Center), publications, Founding Fathers Lecture Series, and u-Tube presence. Four ‘founding fathers’ are identified for the Lecture Series as representing Europe’s innovative visionary past – The Robert Schuman Lecture (French politician and regarded as founder of the EU), The Ludwig Erhard Lecture (German politician who presided over the post War German recovery), The Jean Jacque Rousseau Lecture (French philosopher of enlightenment thinking/socialism), and The Guglielmo Marconi Lecture (Italian inventor). This year the Guglielmo Marconi Lecture which we feature below was delivered by Charlie Leadbetter – well-known for his work with UK-based think-tank DEMOS. Leadbetter’s lecture engages with the Commission’s 2009 theme, creativity and innovation. Now the important thing to point out is that The Lisbon Council think-tank agenda articulates closely with the ‘new Lisbon Agenda’, launched in 2005; to reorient and reinvigorate Lisbon 2000 agenda. It is at this point that we see the European Commission’s engagement with globalization as an outward looking strategy, the move toward supply-side economics, the prioritization of human capital strategies, greater questioning of the Social Europe policies, and a commitment to press ahead with the reform of Member State’s higher education systems to make a European higher education system. These commitments have been repeatedly reinforced by European Commission President, Jose Manuel Barroso, as we see in his speech to The Lisbon Council earlier this year. In following European policymaking in higher education, it is therefore important to look closely at organizations like The Lisbon Council, and the kind of futures thinking/policy shaping work they are engaged in as part of a wider governance of European higher education.